Timber is a long-term investment. Small gains on individual trees add up quickly over a rotation. 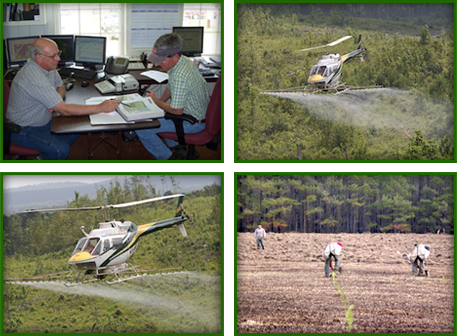 So, Fulton, Alabama-based Scotch Land Management, LLC. believes in paying attention to details in forest management. Customizing herbicide prescriptions for each tract gives us the best competition control. Selecting the right genetics in our seedlings provides a high level of quality and growth over the rotation. Our timber marking teams are trained in tree selection to ensure that the best stems are left to grow after a stand has been thinned. 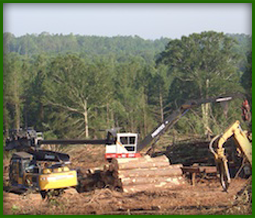 Also, as registered foresters, we agree with and enforce the Best Management Practices for Alabama and Mississippi and use logging crews that are Professional Logging Manager (PLM) certified.